Why is this the most powerful question you can ask when attempting to reach an agreement with another human being or organization? You'll usually get an explicit answer that you might not get otherwise. It also holds them accountable once the thing they need becomes true. - “Feel it's in our best interest for me to be CMO"
Founders leave VC meetings thinking that every VC will invest, but they rarely do. Worse over, the founders don’t know what they need to do in order to be fundable. 4/ So why should you ask the magic Q? You want to know where you stand, and what it takes to get what you want in a way that also gets them what they want. It also holds them (mentally) accountable once the thing they need becomes true. Multiple responses to this question are likely to deliver a positive result. A) straight answer that includes a set of conditions that you can reasonably meet (e.g. a reasonable equity ask). Positive outcome: clear criteria to establishing a deal. 7/ B) straight answer that includes a set of conditions that are not realistic to meet (e.g. renounce leadership position). Positive outcome: get out of the deal pursuit and save your time OR counter propose with more favorable conditions. 8/ C/ no straight answer and uneasy body language. They struggle to give a clear/concise response. Positive outcome: bail! Save your time and money as they are not ready or willing to do business. 9/ Note: The Q should come from a place of seeking mutual benefit. Or else it’ll ring hollow and manipulative. When asking for a raise, it's less: “true for you to feel I deserve this?" And you genuinely mean it. it says “be all in”—be a partner. Like any conversational framework, use somewhat sparingly, and only when genuinely seeking mutual benefit! 1/ Someone emailed me asking how to break into VC, so I wanted to answer on Twitter where others could see and contribute to the conversation. What actual activities do you want to do? - Be in the flow of information and people? 3/ It’s worth specifying what type of VC you might like to become — as there are different archetypes. E.g. Do you want to join a firm or start one? There’s a lot to consider. Different paths will require different skillsets & sets of experiences. 5/ Since the person who wrote the email is a young person trying to break into VC by joining a firm (and who doesn’t want to start a company), I’ll tailor this tweet storm to that goal. There’s some overlap. Like company moats, your personal moat should be a competitive advantage that is not only durable—it should also compound over time. I'm increasingly interested in the idea of "personal moats" in the context of careers. 2/ Like a company moat, you want to build career capital while you sleep. - Twitter followers or general reach without "respect"
4/ Before the arrival of recorded music, what used to be scarce was the actual music itself — required an in-person artist. After recorded music, the music itself became abundant and what became scarce was curation, distribution, and self space. 5/ Similarly, in careers, what used to be (more) scarce were things like ideas, money, and exclusive relationships. In the internet economy, what has become scarce are things like specific knowledge, rare & valuable skills, and great reputations. 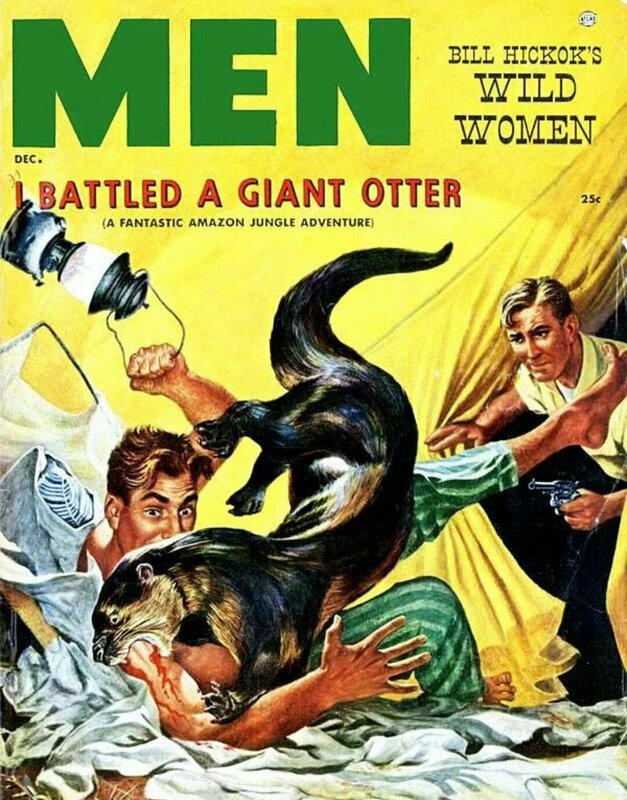 Many readers have asked me "why do so many pulp covers feature women in ripped red blouses standing in swamps while a man fights off an unusual animal attack?" 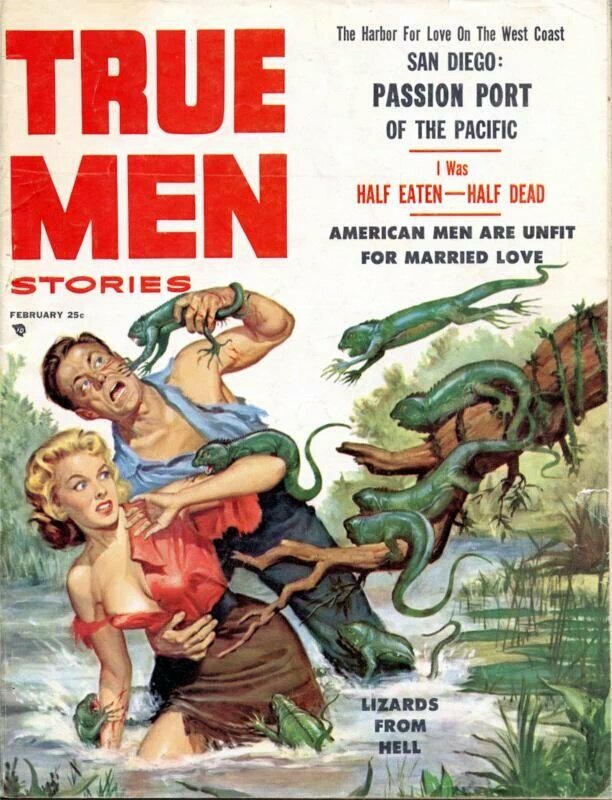 Will Hulsey was the undisputed king of the animal attack pulp cover. You name it, he'd paint it attacking you in a pool of stagnant water. 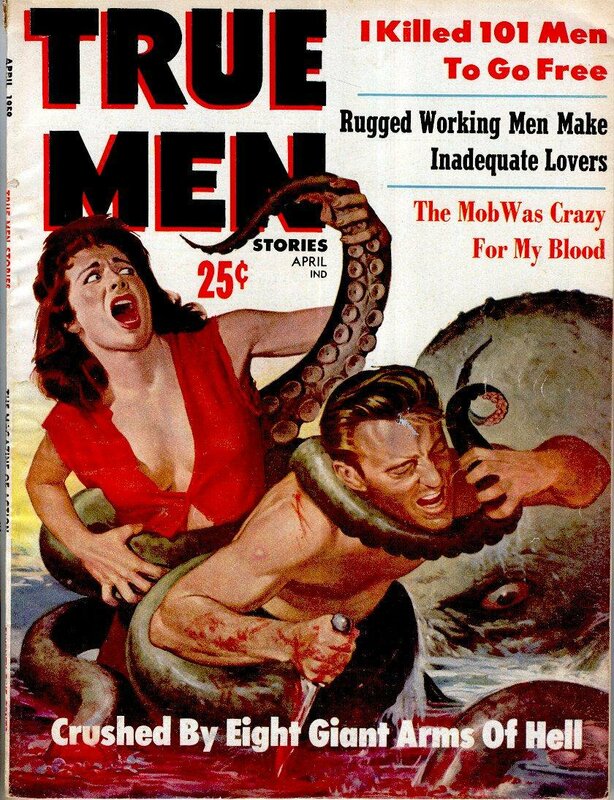 Very little is known about Will Hulsey, but he worked on a number of men's pulp magazines in the 1950s and early 1960s including Man's Life, True Men, Guilty, Trapped and Peril. 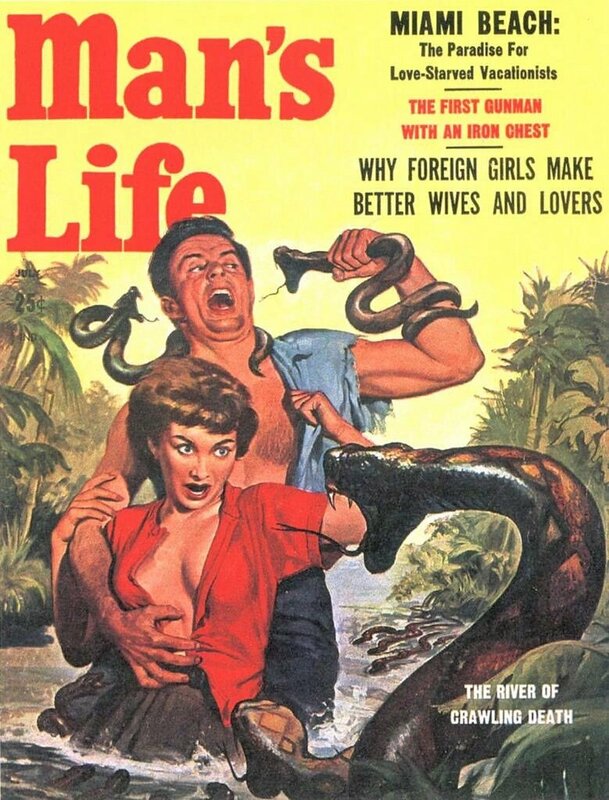 Their audience was ex-GIs: during WWII the US Council of Books in Wartime had given away over 122 million books to American servicemen to read; this led to a post-war surge in paperback and magazine sales amongst these newly enthusiastic readers. 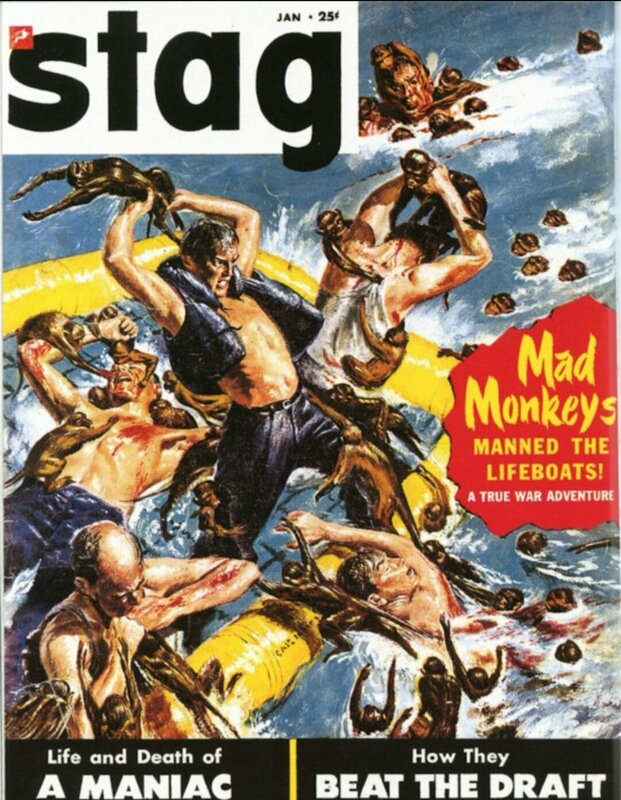 As a result the 1950s saw a raft of men's pulp magazines being published to tap into this market - almost 200 different titles! 1. The major problem most startups face is marketing and the ability to carve out a niche, find and retain paying customers. Even with a stellar developer team and a stellar product, your startup may not grow or survive without a great marketing and sales teams. 2. Start growing your audience before you’ve a product or an idea. You should start promoting yourself and building your audience before you have a finished product or even before you have a great idea that you want to build. 3. Don’t wait to start building your audience after you’ve launched a product. Most first-time developers actually ignore marketing. They’re oblivious to the challenge of attracting people to take a look at something they’ve created. 4. At least until they see their first project crash and burn within hours of the launch. 5. and only then trying to figure out how to promote it by asking marketing questions on Indie Hackers, Quora or Hacker News. Don’t make that mistake. For a while I worked in the maker space at the university library and one my favorite things to do was troll “business bro” students. They’d come in and look around, and you can always tell it’s them cause they wear blazers all the dam time. I’d watch them look around and finally ask if they needed help. “Heh, no, no. I’m looking for a serious coder... for a business project.” They’d answer, suddenly puffing up. “A good one.” They’d day, usually pulling up a chair. “Oh well I don’t know, that’s up to them.” They’d wave dismissively with one hand. Sometimes I’d let them launch into their pitch, sometimes I’d cut them off.